2nd Floor, Samvit, Near The Art of Living International Center, Bangalore – 560082, Karnataka, India. 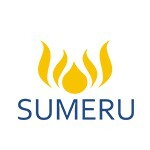 Sri Sumeru Realty Pvt. Ltd. (SSRPL) has built its foundation on the key belief that sustainability and customer satisfaction are the primary measures of success. SSRPL is a unique experiment where human values are sought to be fused with technical competence and industry's best practices. We are a social enterprise committed to giving back to the society. Since inception, the Company has always strived for benchmark quality, customer centric approach, robust engineering, uncompromising business ethics, timeless values and transparency in all spheres of business conduct, which have contributed in making it a preferred real estate brand. Headquartered in Bangalore, SSRPL is primarily focused on residential and infrastructure projects. In our residential projects, the company lays a strong emphasis on environment, water harvesting and high safety standards. As an organisation we are highly focused on delivering international quality products in a timely manner with utmost perfection.